The global energy sector is experiencing massive change in the areas we call the 4D’s. Deregulation has opened the market to competition and a strong need to make distinctly valuable product offerings. Digitalisation has forced the energy sector to consider the impact of new data streams and how to capitalise on them. Decentralisation has turned the idea that energy must come from a single power plant on its head, as anyone with a solar panel and battery can effectively generate energy. Decarbonisation has followed the global imperative that we must reduce carbon-intensive forms of energy generation in order to mitigate climate change. Japan is embracing these 4D’s strongly and at an enormous scale. Accelerating the global energy transition and facilitating innovation in the Japanese energy sector is an ambitious goal, and our sponsors for Japan Energy Challenge 2019 exhibit a spirit to be the leaders in this transition. With the senior decisionmakers for these companies arriving in August for a week of events focused on energy sector innovation, it’s going to be an exciting event. Collectively, they control a commanding portion of the Japanese energy market, so the solutions that are a success at JEC2019 will have a great opportunity ahead of them. We look forward to welcoming them this year and working to advance the industry as a whole. TOKYO GAS is Japan‘s largest provider of natural gas, serving more than 11 million customers. In FY2016, TOKYO GAS made a start by entering the electricity retail business and has since reached 1.6M customers (Nov 2018). TOKYO GAS is shifting from the in-house R&D focused on natural gas energy to an open innovation style R&D to focus on a broad range of innovative energy solutions. ENECHANGE LTD. provides one of the most popular energy switching website in Japan, having 3 million monthly unique visitors and working with over 100 energy suppliers. ENECHANGE is also recognised as one of the most innovative energy ventures in Japan, providing vertically integrated tech solutions – such as data-driven CRM solutions, smart meter data management (SMAP), AI-driven load curve simulation etc. – for energy suppliers. 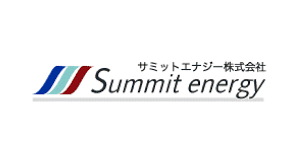 SUMMIT ENERGY is a subsidiary of Sumitomo Corporation, one of the major integrated trading firms in Japan. They supply electricity to both commercial and residential customers. In 2016, they supplied 2,800GWh, making them the 6th largest retail electricity supplier in Japan. They have its own generating capacity from a variety of sources, including biomass power generation. HOKURIKU ELECTRIC POWER COMPANY is a vertically integrated electricity supplier serving about 2.1M customers. Their generation mix is characterised by a higher ratio of hydroelectric power – which is less carbon intensive than other forms of generation – thanks to plentiful water resources in their area. Their Transmission/Distribution Division will be reformed as a separate entity in 2020 and plans to install smart meters to all household by 2024. SHOWA SHELL SEKIYU K.K. is the Shell brand licensee and one of the major oil companies in Japan. They also provide energy solutions for businesses with operating power plants and deliver renewable-sourced electricity. Solar Frontier, the world’s largest CIS solar energy solution provider, is their 100% subsidiary company and operates as independent solar power producer in Japan and worldwide. LOOOP operates a low-voltage power retail business ‘Looop Denki’, and is among the fastest growing new entrants in the energy sector. Since starting in April 2016, the business has gained over 130,000 users by the end of December 2018. Looop is also a successful energy EPC/IPP player, selling over 100MW capacity of rooftop solar panels for their residential and business customers. JXTG NIPPON OIL & ENERGY is the largest oil company and 3rd largest new electric power supplier in Japan, and is known by its brand ENEOS. They have crude refining capacity of around 2 million barrels per day – which is comparable to BP – and a nationwide supply chain enabling stable supply of products and services associated with energy. They have also been supplying low-carbon energy, such as solar, wind, biofuel, and hydrogen. 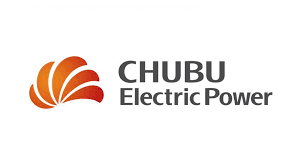 CHUBU ELECTRIC POWER is Japan‘s third largest energy utility provider. They are transforming by separating their organization into three division, Power generation, Transmission/distribution, and Sales division. Even in a rapidly changing business environment, they aim to become a corporate group with consolidated ordinary profit of 250 billion yen or more, by building a balanced business portfolio through. 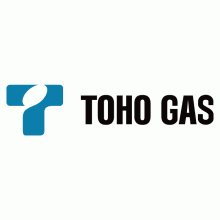 TOHO GAS is the third largest city gas supplier in Japan with 2.46 million customers. They also have a growing electricity supply business, aiming to grow customer acquisition by 60% in 2018. Furthermore, Toho Gas also provide services related to connected homes, business energy support, and energy resource aggregation & balancing. Japan Energy Challenge 2019 happens on 5-8 August 2019. If you want to be involved, reach out to us at info@japanenergychallenge.com.